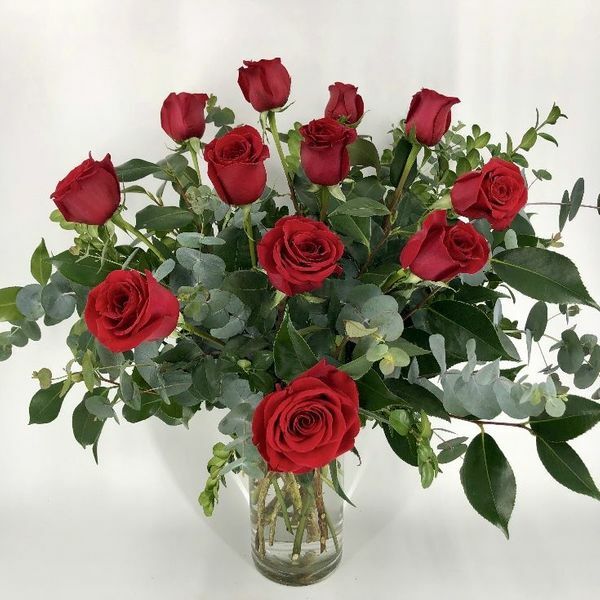 The quintessential classic dozen red roses with lush mixed greens arranged a vase. Approx. 24"x18" please note: some flowers and colors may vary due to availability.